is a Karaoke MIDI song player, converter and editor. It inserts and synchronises lyrics into MIDI and mp3 songs. is a MIDI player that is used to change MIDI file settings during playing. 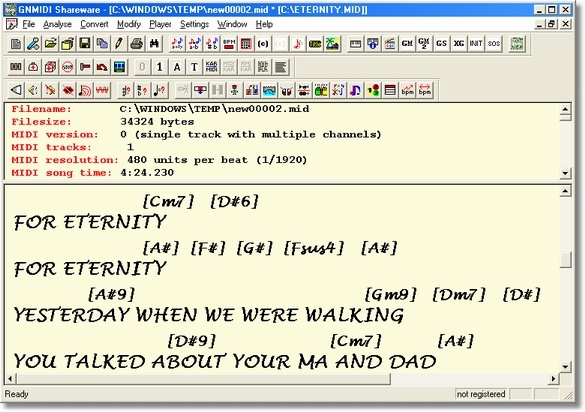 is a MIDI file format converter between MIDI type 0, 1, 2. It can convert more than one MIDI file at once. Some devices can not read MIDI format 1 files (they accept only MIDI format 0). 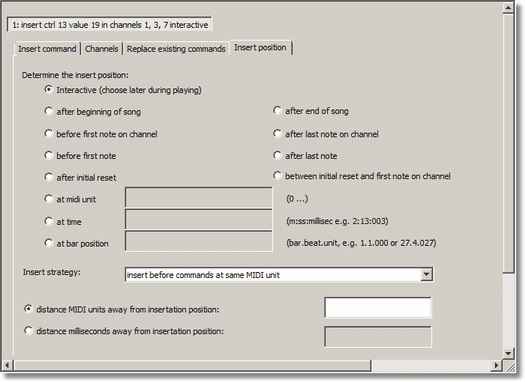 is a MIDI file modification tool for automatically inserting MIDI commands (controls, RPN, NRPN, programs, sysex) into MIDI files defined by definition rules (*.insdef). e.g. automatically turn on a MIDI effect device at beginning of the song and turn it off at end of song. Many GN MIDI operations can be used as commandline tools in Windows for noncommercial private uses or for commercial use with a commercial project or product.